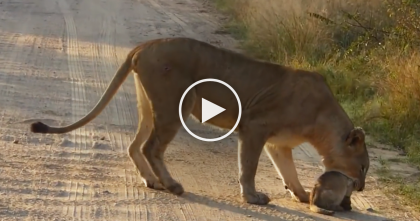 When this kitty gets sleepy, it’s the CUTEST thing you’ve ever seen! 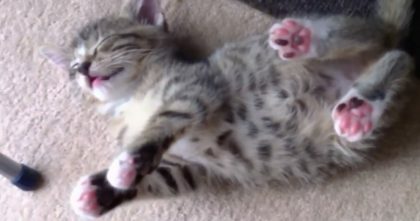 This kitty is so dead asleep that he doesn’t even wake up when his owner tucked him in bd, but the end results are just adorable as you’ll see soon enough in the video below. 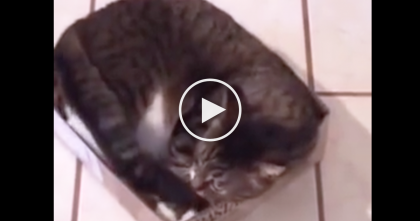 This kitty has a wonderful bed and loving owners to tuck him in, this adorable moment is just ‘purrfect’. Cats love being lazy and sleepy, but this kitty is ESPECIALLY tired today! 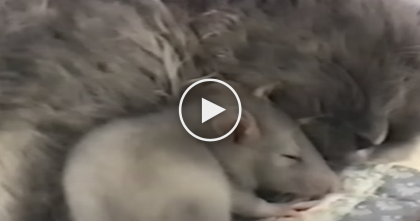 This Kitty Is Sleeping, But When You See Who Comes To Snuggle… I Can’t Believe My Eyes! 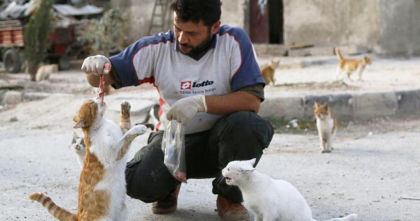 This Man Does Something Amazing For Poor Abandoned Cats In War-Torn Syria… A TRUE Hero!